Howard Duke, 87, passed away Friday, November 23, 2018, with his family by his side. He was born in Hardinsburg, Kentucky on October 26, 1931 to the late Cycle and Florence (Hockenberry) Duke. Also preceding him in death was his son, Billy Ray Duke; five brothers, Denver, Eugene, Bobby, Dallas and Ernie Duke. Howard proudly retired from General Electric with 43 years of service. 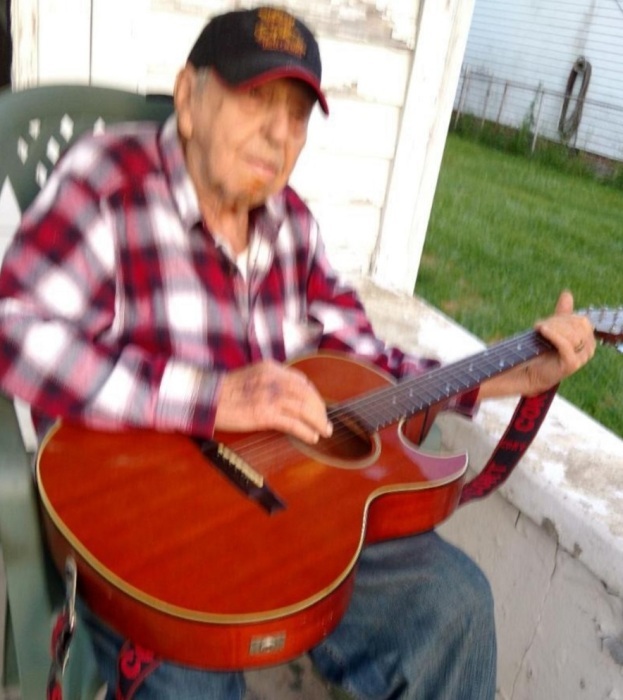 The love of his life was time spent with family, playing cards with his brothers, telling stories, horse racing, picking a tune on his guitar, singing and yodeling for anybody that would listen. Surviving is wife of 64 years, Neva Katherine Duke; daughter, Barbara Brenda Harrig (Michael); a sister, Ruby Bolin; brothers, Harvey Duke (Verna) and Eddie Joe Duke (Pat); grandchildren, Dustin and Shannan Harrig; great grandchildren, Blake Harrig and Jade Simpson; great-great grandchildren, Jamie and Michael Harrig. Funeral services will be held at 1:00 PM CST Wednesday, November 28, 2018 at Huber Funeral Home, Tell City Chapel. Pastor Arlie Brock will officiate. Burial will follow in Greenwood Cemetery. Visitation will be Wednesday from 10:00 AM until 1:00 PM CST at the funeral home.